This story was originally reported by Inna Lazareva and edited by Lyndsay Griffiths for the Thomson Reuters Foundation. YAOUNDE — Democratic Republic of Congo may have declared an end to its ninth outbreak of the lethal Ebola virus since 1976, but health experts are already plotting ways to beat the next flare-up. From vaccines to apps, myth-busting to health training, officials are looking at myriad options to better prepare the nation for what many fear is its inevitable future. “It’s likely that we’ll be having a 10th outbreak,” Emanuele Capobianco, head of health at the International Federation of Red Cross & Red Crescent Societies (IFRC) told the Thomson Reuters Foundation in a telephone interview from Geneva. 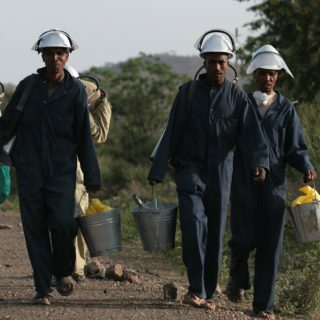 “The issues that contributed to this outbreak – poor infrastructure, weak health and sanitation systems – are still with us,” Elhadj As Sy, secretary general of the IFRC, said in a statement. Health workers were among the first to receive the Ebola vaccine. The latest outbreak, which the government declared over on Tuesday, began in May and is believed to have killed 33 people. Ebola, thought to spread over long distances by bats, causes hemorrhagic fever, vomiting and diarrhoea. On average, the virus kills half of those it infects, according to the World Health Organization, and it is passed via body fluids. During the West Africa epidemic of 2014 to 2016, more than 28,600 people were infected and more than 11,000 died in Guinea, Sierra Leone and Liberia. Unlike previous Ebola outbreaks in the DRC, this one hit four locations, including a large city with links to the capital and to neighbouring countries, sparking fears of escalation. Yet for the first time, the global health community in DRC was able to deploy a vaccine to contain its spread. Developed by Merck and deployed by the World Health Organization, the vaccine was hailed as “a game changer” by DRC government officials after more than 3,300 people were immunised and no new cases of the virus were reported. Capobianco described the vaccine as “potentially the biggest weapon” against future outbreaks of the disease. But experts say myths and rumours must also be quashed. Marie-Claire Thérèse Fwelo, a WHO official who has worked on all nine Ebola outbreaks in her native DRC, said it was key to counter misinformation, citing rumours that the vaccine could make people sterile, or that Ebola was caused by a curse. Some locals also defied medical advice and smuggled two dying Ebola patients out of hospital, taking them to a 50-strong prayer meeting instead, Reuters reported. Communication and local collaboration are key, Fwelo said. 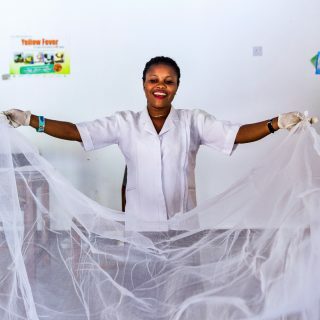 Health workers have trained local figures – including religious leaders, traditional chiefs, pygmy groups and even motorcycle-taxi drivers – on ways to stop the virus, she said. “Now everyone wants to be vaccinated,” Fwelo said. Locals must also keep up their surveillance, she added, explaining how teams go door to door to look for the sick or dead. “As international teams pack up and leave, these local responders will remain,” said IFRC’s Sy. 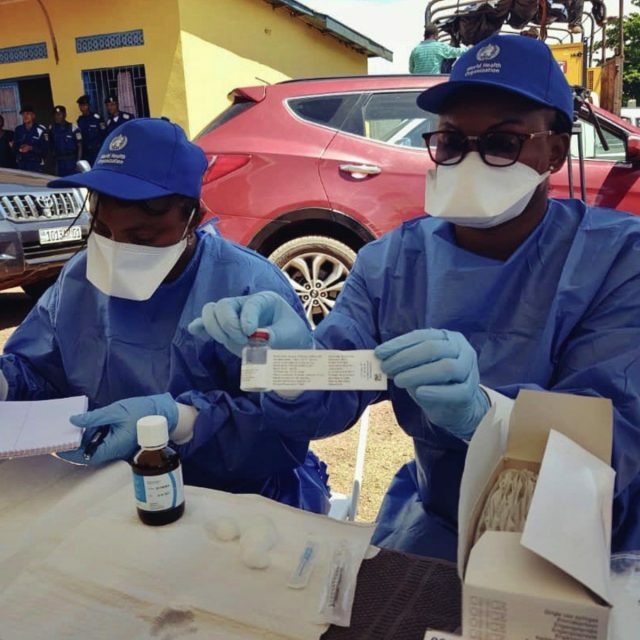 Quick diagnosis is a challenge – the latest DRC outbreak may have gone undetected for months, according to a recent Lancet study – and technology could be a big help. 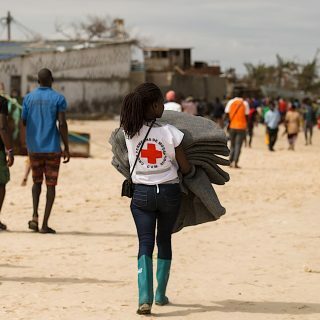 The IFRC’s Capobianco said mobile phones could be used to report suspected cases in real time, pinpointing locations and allowing analysts to map any outbreak. He conceded that such systems, however, depend on a functioning communications network, a problem in the most recent outbreak. The Red Cross is also developing a mobile phone data collection app to support response and recovery efforts. 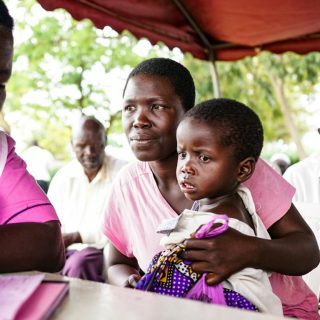 In Tanzania, a new app lets locals record symptoms of suspected diseases, such as Ebola and cholera, on their phones. The data enables experts to make a diagnosis and alert the authorities to a potential outbreak faster. For all the hope offered by new tech fixes, officials say it is changing people and their behaviour, as well as improving health facilities, that is most pivotal. “If we talk new technologies, and the individuals are not ready – we will fail,” said Capobianco.